The Interconnecting Cisco Networking Devices Part 2 (ICND2) is the exam associated with the Cisco Certified Network Associate certification. 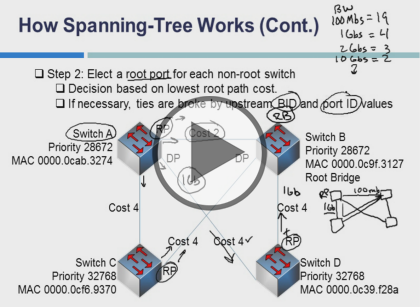 This course starts with making sure you understand how VLAN's work. Next, it covers layer 2 networking as well as redundant paths and spanning trees It finishes up by looking at redundancy at layer 3 with routers as well as HSRP and gateway load balancing. This is part 1 in the series.